Have a project but you need a little guidance? This is the perfect workshop for you. Bring an end table, side table, small dresser, foyer table, etc. 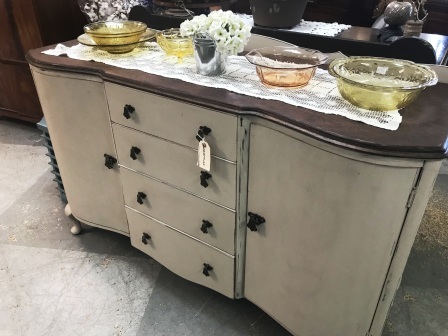 and have Mark help you complete your piece using our Maison Blanche Vintage Furniture Paint. Pick your paint color, wax color, distress or not depending on your personal preference. You will leave with a completed piece. Workshop ranges 2-3 hours depending on the piece. Registration is required. Workshop fee is $75 which includes all paint, sandpaper, wax and personal instruction to complete your piece. Call 850-314-7500 or stop by to register.